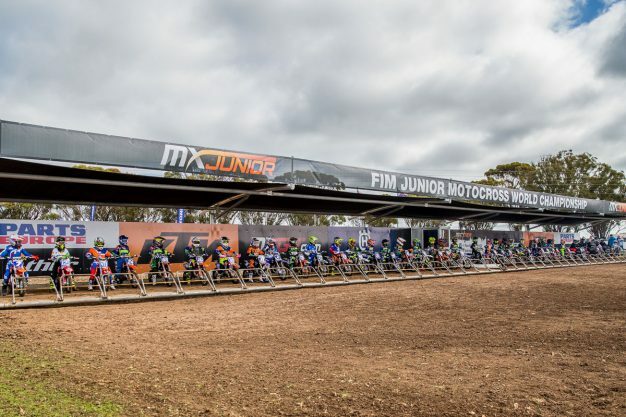 For the first time ever, the Junior Motocross World Championship visited Australia last weekend at Horsham in Victoria for an incredible weekend of competition. The event saw the world’s best youthful talent converge at the venue, which ultimately resulted in two Australians emerging as world champions by the conclusion of Sunday. In this edition of Q&A, we answer a number of questions regarding the event. Q: Was the event at Horsham deemed a success? A: Absolutely! There was significant participation from not only Australians, but also a host of other nations too. The Horsham club delivered an exceptional circuit and the weather played into the event’s favour, which only added to the great atmosphere created by the crowd on-hand. Q: What’s the breakdown of the junior world championship classes? A: There are just three classes at the junior worlds: 125cc, 85cc and 65cc. Each class is obviously capped by capacity, but also age as well. The 125cc division allows 13-17-year olds to compete, as the 85cc and 65cc categories are open to riders aged between 12-14 years and 10-12 years. 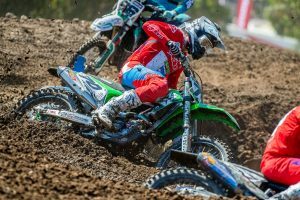 The 125cc and 85cc classes are full-on world championships, while the 65cc division has world cup status from the FIM. Q: Who were the top-performing Australians in the event? A: The whole of Team Australia did the country proud on home soil and contributed to being awarded the top spot in the Nations standings, while Bailey Makiewicz (Bulk Nutrients WBR Yamaha) and Braden Plath (Husqvarna) earned world titles in the 125cc and 65cc categories respectively. That said, an assortment of young Aussies displayed front-running pace across the weekend, which bodes well for the future. Q: How much manufacturer involvement was there across the weekend? A: There was a strong amount of manufacturer involvement. 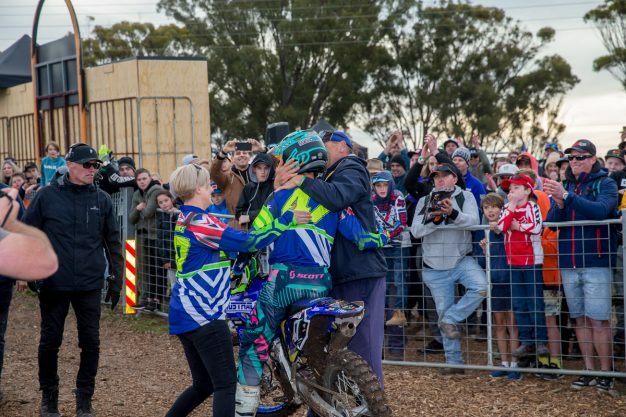 Yamaha Motor Australia brought out the CDR Yamaha Monster Energy team rig, plus more, for its locally-supported riders and also the internationals to provide as much assistance as possible. KTM Australia and Husqvarna Motorcycles Australia were in full swing too, with extensive set-ups and tech services to support the large contingent of riders aboard their machinery. Bike rental arrangements were also made available to the riders and teams from overseas. Q: Which Australians have won titles at this level before? A: There have only been a few! 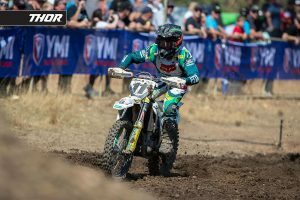 Australian MX2 contender Jay Wilson lifted the 85cc crown at New Zealand’s edition in 2009, while current European Motocross Championship entrants Caleb Grothues and Jett Lawrence wrapped up the 65cc title in 2012 and 2014 respectively. As a result, Malkiewicz’s championship at Horsham made him the first Australian in history to capture the 125cc crown. Q: What internationals should we watch for in the future? 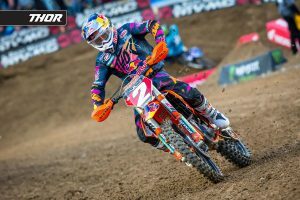 A: Liam Everts (KTM), son of the legendary 10-time world champion Stefan Everts, is one, although he suffered a heartbreaking mechanical in moto two of the 85cc class after dominating race one. In Europe, keep an eye on guys such as Mattia Guadagnini (Husqvarna), Petr Polak (KTM) and Kay de Wolf (KTM), while on the USA front, new 85cc world champion Braden Caswell (KTM), Ryder Difrancesco (Kawasaki) and Enzo Temmerman (KTM) are names worth remembering. There will be a heap to take note of in the future, that is for certain.